It’s not the first time that we deal with Yuri Shulgin, in fact, he’s the man behind Mistanomista and we wrote about his single long time ago. The russian producer has already shown us how good is he with jazz and deep productions. This EP is his last effort, released just a couple of days ago. 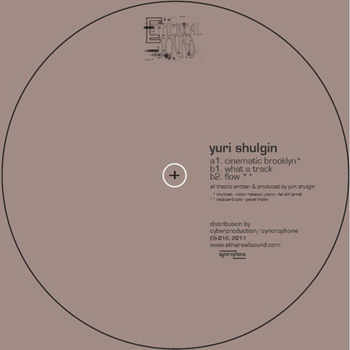 It contains three tracks: “Cinematic Brooklyn”, a nice jazzy joint with a warm feeling; “What a Track“, where the bassline is just amazing; “Flow“, an electronic journey through synths perfectly melted together.